Edgefield County School Bus rivers received a Professional Development course on August 4, all day, from a noted authority whose development program has received national attention. 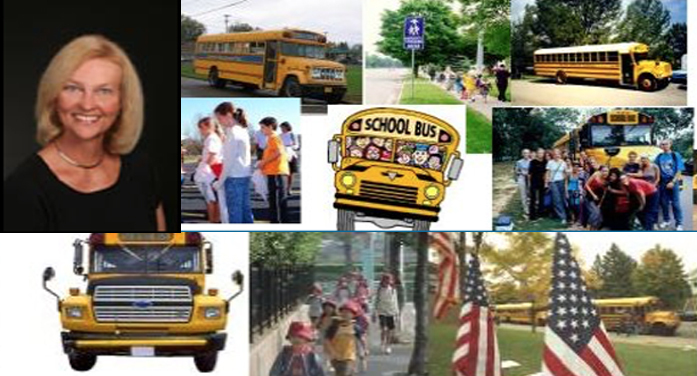 Dr. Nancy Blackwelder came from training bus drivers in Charleston, the day before, to the Edgefield Public Schools, under the direction of James Courtney who is over Transportation for the schools. Dr. Blackwelder, a former teacher and principal, experienced a crisis in a school she was a part of, for she was a victim of a gun-wielding student, and from this experience she grew to know the importance of crisis intervention plans and to development a training program around such crises. Topics taken up during the day were: cultural sensitivity, understanding the values and practices and body language expressions of various cultures; cultural diversity, learning differences and arming drivers with communication strategies; student management on the bus as well as teamwork of aide and driver in handling crises. Overall, Courtney noted that Blackwelder’s special skill was in how to get students to do what drivers want them to do – a real art to develop. In that, one has to use eye contact well, as well as being considerate of an individual’s need for his own space. Courtney gave for the reader some information on other training that bus drivers have – usually mandatory. Annually they have to have checkups and state training. They learn the mechanical things necessary for doing their jobs safely. Remembering days when select high school students were chosen to do the work of driving the buses, he noted that now drivers have to have a CDL to qualify. “Blackwelder really kept their attention most of the day,” he noted in explaining the quality of her presentation. This was the first time that the Edgefield County School District has given drivers this extra development course. It served to emphasize, according to Courtney, that, “We are all servants to the students first – then to teachers, staff and administration. “The theme of ‘We are here to serve’ has been a District theme for some time, and this course factored in more the emotional side of training as opposed to the mechanical” – a way to provide better service to the children, including goals and benchmarks.